Yoga For As Young As 2 yrs. Why and How To? 04 Oct Yoga For As Young As 2 yrs. Why and How To? 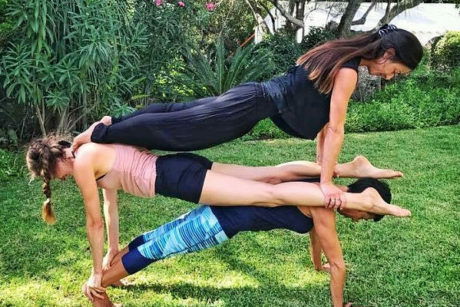 Most people are aware that yoga is one of the fastest growing industries of the decade, and that more schools and parents are introducing it younger and younger. The many benefits of yoga for adults has been well documented, and the clinical studies on the benefits for children are increasing monthly. You can find endless reports online on the benefits of yoga for children. But WHY is it actually important yoga should start as young as 2 years old? Yoga, to most in the West, is seen as a form of sport or exercise. Even for adults there aren’t many sports that won’t eventually have a degenerative or imbalanced effect on the physical body after many years. On the other hand, more people that start yoga, actively continue to practice it into old age, without any negative repercussions. Therefore unlike tennis/football/lacrosse/going to the gymetc, the practice of yoga can last a lifetime. Not only because of its positive long-term benefits, but it also doesn’t require any other equipment or people, and can be practiced anywhere at any time, by anyone. And how many other school sports or activities, put an emphasis on stress management and correct full breathing? 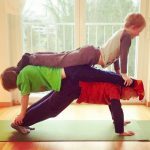 I’ve often asked the kids I teach yoga to if they think they can go the whole yoga class without eating? ‘Yeah of course I could!’ they all brag. ‘Do you reckon you could manage going the whole yoga class without taking a single sip of water?’. ‘Yes!’. ‘OK well do you think you could do the whole yoga class without taking a breath?’. Silence. Every time. ‘You see kids we spend a lot of time thinking about the food we eat, and what we’re going to drink, but we forget how the air we breathe, is the most important fuel our bodies need’. And so on and so on…. I’ll come back to this point. I’m not having these conversations with the 2 year olds obviously. 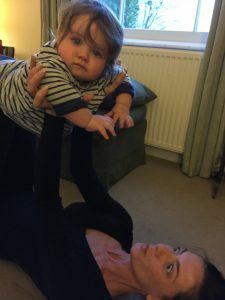 But with that age they can gain body, posture and breathing awareness, start working on balance, enhance strength and flexibility, and generally have fun in animal poses or relaxing with different calming games. The word ‘yoga’ means ‘to yoke’ (join/unite) in Sanskrit, and refers to the uniting of the body, mind and spirit. The word ‘spirit’ come from the Greek word ‘spirare’ which means ‘to breathe’. So Yoga connects the body and the mind into balance, through the breath. Our breath being the most important food that we take into our bodies to make every cell and organ work healthily. Traditionally in India, where yoga originated around 5000 years ago, the physical exercises were designed so they could sit for meditation for hours. 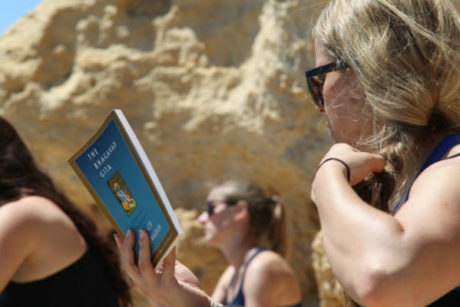 Meditation being the ultimate goal of yoga, like prayer, is time connecting with your god, or time creating a stronger connection with yourself. Nowadays we don’t have the time or luxury to sit in meditation for hours, but we do have to sit for hours and years at school desks! Since industrialization, machines make our life much more sedentary, and desks eventually become car seats, sofas, and office chairs. Yoga not only helps our bodies stay healthier for sitting, standing and moving, but it connects with a healthy mind that is calmer and more focused. Yoga classes for children still follow the objectives of correct posture, deep breathing, stretching, toning and relaxing, but in a much more fun, creative and unstructured method. It develops flexibility, balance and strength, physically and mentally. Below is a simplified list of the benefits of yoga for children. But what do these benefits really mean as applied yoga for later life? Unlike other sports for kids, yoga is a holistic activity, meaning it takes the whole person into consideration, not only physically, but also on a mental, social and emotional level. 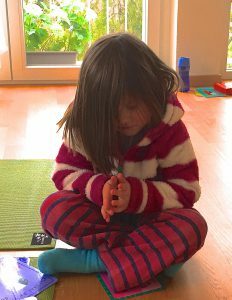 The younger a child starts yoga, the longer they’ll have a personal tool box of positive practices for the rest of their life. Yoga can still be beneficial to someone starting it for the first time at 80 years old. However the younger you can start to be empowered by a positive and healthy understanding of yourself, the better! Children have to learn about the notion of competition in many other areas of their lives, so why not give them an activity that is non-competitive, and nurtures imagination, self-exploration and creativity? Yoga gives kids a time where there are no exams, awards, score boards or points. It’s a time of organised fun, without the pressure of grades and expectations, that instead encourages children to pay attention to their own bodies, breath and environment. It’s a time when stories, animals, nature, jumping around, stillness, and good values come together. Yoga teaches children discipline and structure, building character and a better understanding of positive social behaviour. And even if non-competitive, it does foster courage, determination and a healthy understanding of our own strengths and weaknesses. Kids yoga classes work through all the main asana (poses) groups eg. balancing, twists, backbends, forward bends, strengthening, stretching etc, so that they get a top-to-toe workout of all the major muscle groups. It is a fully balanced system of keeping the body healthy and not over working one side, or one area of the body more or less. This also ensures that the major body systems i.e. respiratory, cardiovascular, digestive, endocrine and nervous, are all being adequately stimulated and get stronger. A healthy hormone system also means a better balance of stress and growth hormones. And this is where we come back to the fundamental importance of the breath, and breathing correctly, from an early age. If the body is not receiving the amount of oxygen it desires, for every cell, organ and body system to work at their optimum capacity, it won’t be as healthy as it can be. 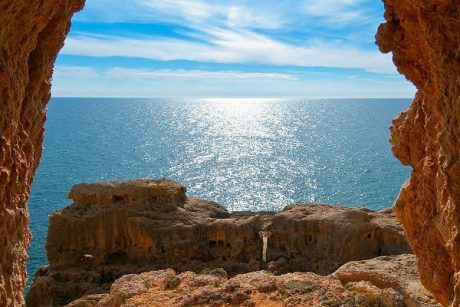 The problem is that breathing is an automated reflex in the body, unlike eating and drinking, which we have to consciously think about and then do. So we’re breathing shallow, stale, minimal breaths affecting EVERY part of our body and mind from energy levels, focus, regeneration and overall health! 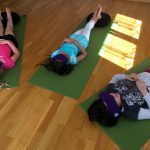 The understanding, awareness and focus on the breath is what also brings the benefits of meditation to kids yoga classes. 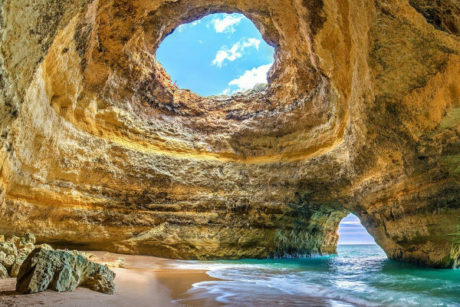 It not only teaches them to relax and calm the mind and therefore body, but helps them connect with the different parts of their bodies, and have increased understanding and control of them. You’d be surprised how many intelligent, established adults I’ve worked with that are completely detached from parts of their bodies, and don’t have the range of control over certain joints. Yoga helps kids be aware of their body, learn how to take care of it and identify how to calm themselves mentally and physically when needed. The regularly increased blood oxygen, promotes a healthy functioning nervous system, which in turn means better sleep, control, ability to calm and less anxiety. Yoga also increases children’s physical motor skills, using balance, hand-eye coordination and controlling larger and finer body movements. It also promotes neuromuscular development, cognitive and cerebral functioning, developing concentration and increasing focus. This also leads to benefits academically and of social integration. When kids are more conscious of their own body, mind and breath, and how to control them, they create a stronger bond with themselves and in turn with others. Yoga increases their self-awareness, esteem, resilience and confidence. It is an integrated practice of self discovery, encouraging physical and mental empowerment. Instead of reaction, they learn reflection, along with principles of honesty, non-violence and peace. Lastly, children today do not have the same outlets for stress and frustration as they used to. There is no longer space or is it safe, to go out to play, explore, climb trees or cycle… Unlike adults they can’t go out for a run, to the gym, take medication or control their schedules. Yoga helps to override the stress response or release or unnecessary cortisol or adrenaline, and teaches children the resources and techniques to control and handle their stress, bodies and general lives in a more positive way. Mindfulness and focus practice reduces ruminating and wandering minds, benefiting school, social, work and life in general. And the practices and principles children learn in yoga, carry into the rest of their day and long into their futures. Breathing with awareness, concentrating, correcting your posture, stretching, being good to yourself and to others, are all parts of ‘doing yoga’ every day. 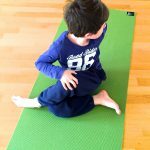 Yoga teaches children fundamental techniques for a healthier and happier life and tools that they will use every day for the rest of their lives. 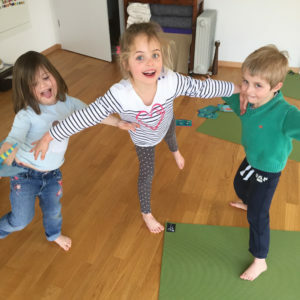 If you are interested in bringing the benefits of yoga and mindfulness to children and would like to learn more about the Indiv Yoga Switzerland RCYT 95hrs Kids Yoga course, please click here.